Gardening - no experience needed. 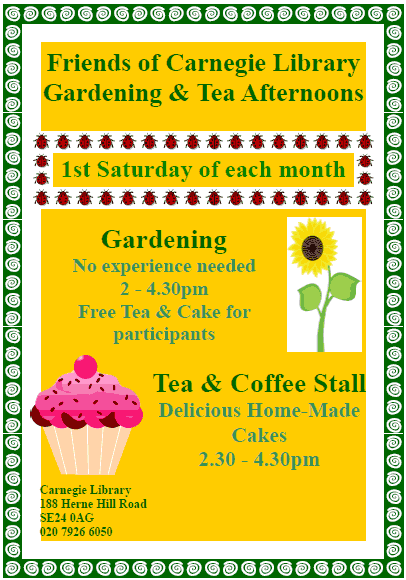 Free tea, coffee and cake for participants. Tea and coffee stall with delicious home-made cakes. More bakers always wanted!